During peak production seasons, it is not rare for utility companies to set ceiling caps for electricity consumption or to charge a premium during hours of heavy energy demand. They even warn some companies to taper their energy usage or they will be compelled to pay a hefty penalty. In cases such as this, what choice do industrial companies have? Many companies, especially those in consumer goods and industrial production, only have a handful of months that they regard as their peak production season. During these months, the requirement for their products exponentially increase, hence they find the need to use their production machinery at full capacity and to extend their operational hours round-the-clock. As a result of intense production activities, their power consumption spikes. Will they have to control their electricity usage and risk foregoing the opportunity of making double or triple their off-peak revenue? Will they have to go on with the feverish production pace and choose to pay the penalty, which could take a sizable amount off the profit that they will be making? 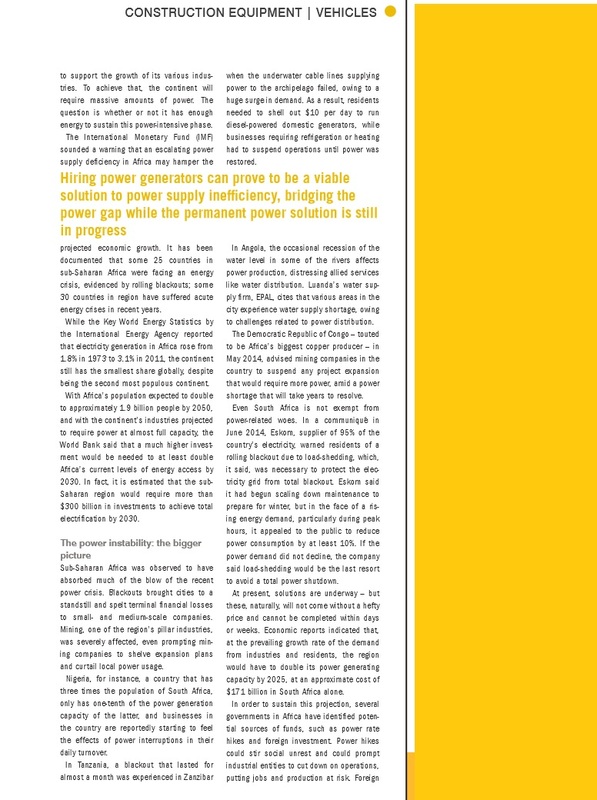 Hiring the services of temporary power providers to augment the existing power supply is an option that industrial companies can take in times of peak production. Using mobile power stations will allow these companies to avoid paying a considerable penalty imposed by utility companies, and to work around the ceiling cap for energy consumption if they require more electrical power. There is a real risk that the increased tariff rate during peak hours and the fine enforced by the utility companies may take out a substantial amount from a company’s peak season revenues. In times like this, it may be more cost-beneficial to run alternative power sources, like interim power plants. 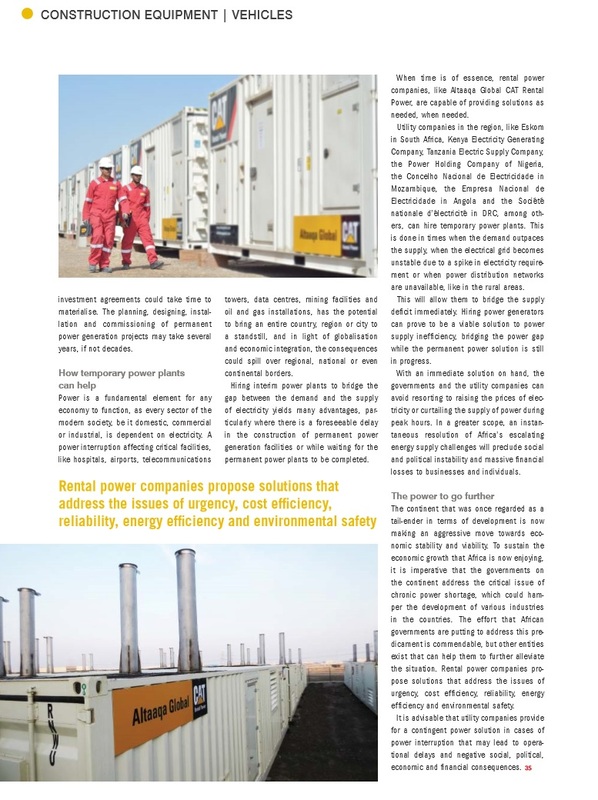 Because temporary power stations are modular, flexible and adaptive, they can be easily installed in a variety of customer locations anywhere in the world. Modern gensets have the capability of producing electricity according to customer requirements, precluding over- or under-sizing. They also have a plug-and-play configuration that allows them to be installed, commissioned and activated in as little as days. More importantly, as a temporary solution when power demand is heightened, mobile power plants bring more cost-efficiency compared to paying hefty fines or limiting production activities. Several studies conducted in different industries in different countries show that in short- or medium-term use, the price of procuring, running and maintaining power plants for hire is significantly lesser than the cost related to the effects of lost business opportunities, customers, production time and raw materials. The negative effects of peak lopping can be countered by engaging the services of mobile generator providers. Temporary power plants are cost-beneficial and bring about invaluable paybacks to the operations of industrial entities. 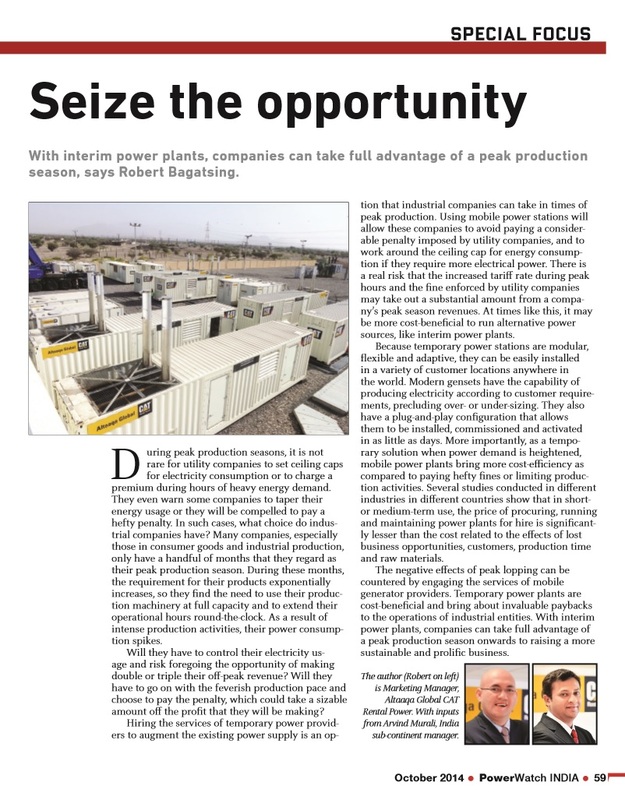 With interim power plants, companies can take full advantage of a peak production season onwards to raising a more sustainable and prolific business. 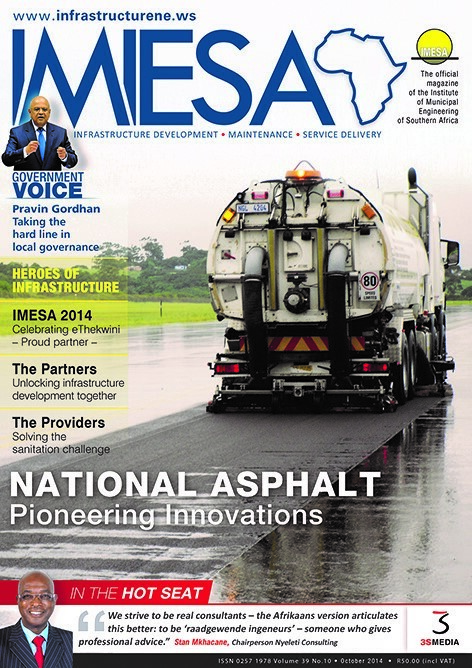 Experts herald the mining industry as the light of Africa’s future. 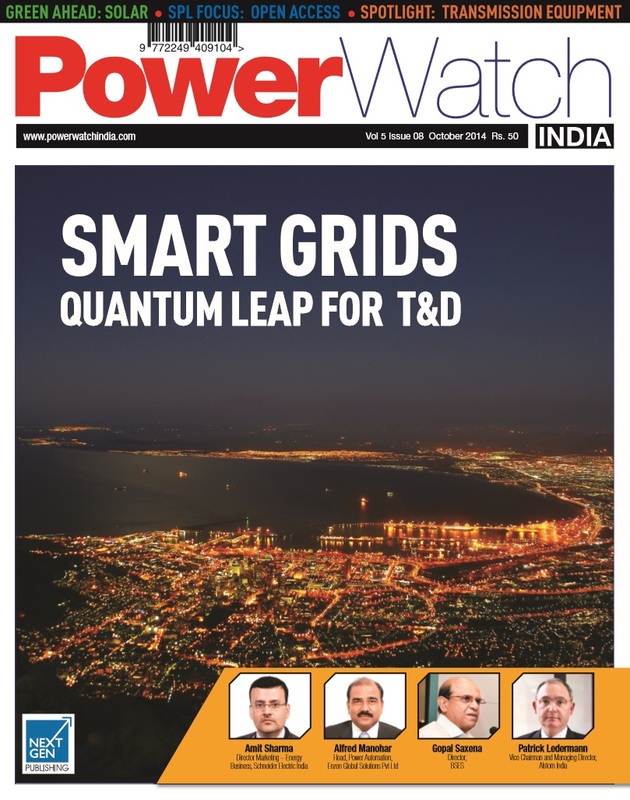 With the prevailing power deficiency, however, will the roadmap ahead be dim? Robert Bagatsing Marketing Manager; Peter den Boogert, General Manager and Majid Zahid, Strategic Accounts Director, of Altaaqa Global CAT Rental Power provide the answer. The tenacity that Africa has shown in the face of the recent economic crisis is nothing short of commendable. If numbers from the African Development Bank’s African Economic Outlook for 2014 are any indication, the continent’s future looks bright. Experts forecast growth rates of 4.8% in 2014 and 5.7% in 2015, and financial in-flows in the area of USD 200 billion. Playing a major role in Africa’s notable economic performance is the mining industry, widely regarded as one of the chief pillars of the African economy – and not without reason. The mineral industry in Africa is one of the largest in the world, riding high on the continent’s vast 30-million-square-kilometer land area. Africa is richly endowed with mineral reserves, including bauxite, cobalt, diamond, phosphate rock, platinum-group metals (PGM), vermiculite and zirconium. Naturally, gold mining is the African mining industry’s bread and butter. The world sees the enormous size of Africa’s mining territory, but much of the continent’s potential still remains unearthed. Experts say that a considerable percentage of Africa’s precious metal reserves are underexplored, owing to several financial and operational motivations, among which is the observed lack of dependable, viable and sustainable power. For instance, in a recent release, the government of the Democratic Republic of Congo (DRC) has advised mining companies to suspend any expansion plans or contractual modifications that would require extra power until further notice, in an effort to control the country’s demand for energy. The foregoing initiative from the government may have its benefits in the context of energy conservation, but it may definitely create economic and social deviations in the operations of the mining companies. In light of this recent conundrum, from the prism of transitivity, a shortage in power supply could mean lost opportunities. With the postponement of mining expansion projects, additional mineral reserves, which could mean additional sources of revenue for operators, will remain unexplored for a longer period of time. A deficiency in energy could mean lost time, as plans that took years to finalize have already been chalked up, only to be discarded or shelved. A deficit in electricity could mean lost employment and income, as halting a project could lead to retrenchment. With mining playing a major role in most of the African economies, an insufficiency in energy, leading to suspended operations, may have catastrophic wide-scale economic repercussions. Looking back in 2008, blackouts in the Republic of South Africa halted Anglo American, Impala Platinum Holdings and Harmony Gold Mining mines for five days – an incident that spelt a notable difference in the companies’ and in the country’s growth rates that year. A repeat of this predicament would imperil South Africa’s present economic projections, and in this day and age when economies no longer exist in a vacuum, particularly in Africa, where there is remarkable interdependence, a slight drop in one country’s economy may set off a domino effect. In a recent communication, Eskom, the largest producer of electricity in Africa, announced that power cuts could potentially take effect if the surge in power demand in South Africa could not be tapered. This, according to industry experts, might bring about negative operational and financial consequences to mining companies. 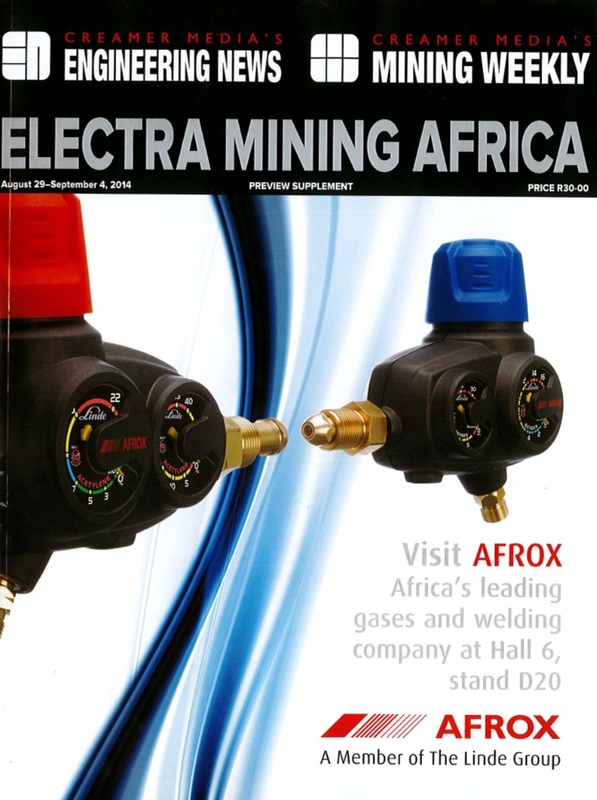 Mining consultants estimated that the rotational load shedding could result in losses in the area of millions of SAR (South African Rand) a day. 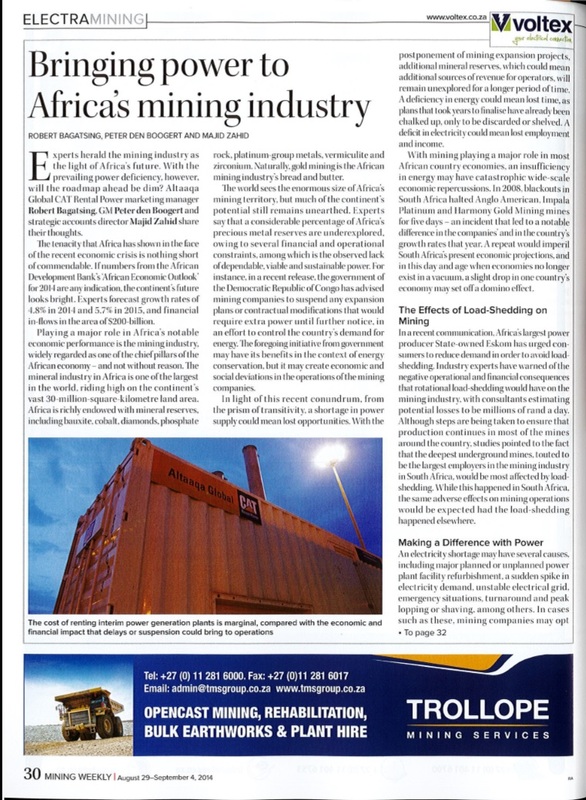 Though efforts are being taken to ensure that production would continue in most of the mines around the country, studies pointed to the fact that the deepest underground mines, touted to be the largest employers in the mining industry in South Africa, would be most affected by load shedding. While this happened in South Africa, the same adverse effects to mining operations should be expected had the load shedding happened elsewhere. Before looking at possible solutions to Africa’s power woes, let us take a closer look at the anatomy of a power deficit. An electricity shortage may be caused by multitudinous reasons, including major planned or unplanned power plant facility refurbishment, a sudden spike in electricity demand, unstable electrical grid, emergency situations, turnaround and peak lopping or shaving, among others. In cases such as these, mining companies may opt to hire temporary power plants such to instantly supply viable and sustainable electricity to their facilities for an uninterrupted operation. Cost-benefit studies conducted across different mining facilities around the world show that the cost of renting interim power generation plants is marginal compared to the economic and financial impact that delays or suspension could bring to operations. In other cases, mining operations that have localised electricity generation facilities, for instance, may experience energy shortage during summer or winter months, when there is a need to dedicate electricity for climate control. Without supplementary power, mining facilities could not meet the seasonal energy requirement, making the production environment unsuitable for working. Studies show that days with extreme temperature aberration are few in a year, thus mining facilities are discouraged to devote permanent power generation facilities solely for this purpose. This, therefore, makes a strong case for employing rental power plants, which is not as capital intensive as constructing a new, dedicated permanent power generation facility. 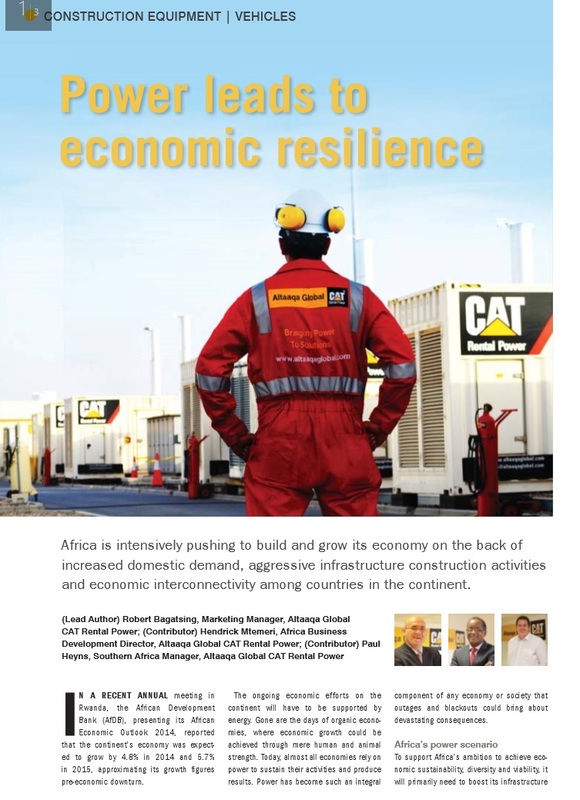 Interim power facilities, like the solutions offered by Altaaqa Global CAT Rental Power, a global provider of temporary energy solutions, could spell the difference between lost opportunities and breakthrough. Because Altaaqa Global’s solutions are flexible and scalable, they can be employed in a wide range of applications, be they underground mines, open-pit mines or ore processing facilities. As the company’s products are customizable in size, capacity and, even, in cost, they can be rented by large international mining corporations and smaller regional or local aggregates producers, quarry operators or miners. 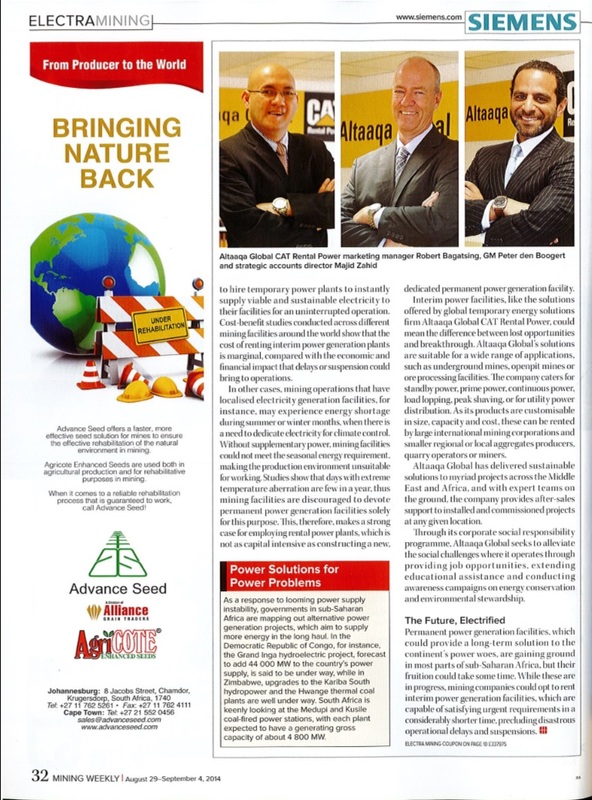 Thanks to Altaaqa Global’s extensive product range, the company can address any requirement, including the need for standby power, prime power, continuous power, load lopping, peak shaving, or for utility power distribution. Altaaqa Global’s offerings could spell the difference between lost time and progress. The company has a stellar record in providing interim power generators where needed, when needed, even at a moment’s notice. With Altaaqa Global’s industry-proven experience and reliability, the company has delivered executable, measurable and sustainable solutions to myriad projects across the Middle East and Africa. Owing to the availability of spare parts and expert teams on the ground, Altaaqa Global has proven that it can provide after-sales support to installed and commissioned projects at any given location, at any given time. Altaaqa Global’s presence could spell the difference between lost jobs and success. The company has an avowed corporate social responsibility program, one of which tenet is to alleviate the social challenges of where it operates through providing job opportunities, extending educational assistance and conducting awareness campaigns on energy conservation and environmental stewardship. Not only could Altaaqa Global’s products ensure the continuous operations of mining projects, thus of one’s employment, the company actually employs competent and talented locals in areas where it sets up its facilities. As one of the cornerstones of the African economy, the mining industry deserves a keen attention, particularly in light of the looming power insufficiency. Experts say that Africa’s future is crucially anchored on the mining industry, and for this reason, stakeholders in the mining industry, including the governments, the operators and the investors, are investing thought, labour and money to keep the sector thriving. Permanent power generation facilities, which could provide a long-term solution to the continent’s power woes, are gaining ground in most parts of Sub-Saharan Africa, but their fruition could take some time. While these are in progress, mining companies could opt to rent interim power generation facilities, which are capable of satisfying urgent requirements in a considerably shorter time, precluding disastrous repercussions of operational delays and suspension. As a response to the looming power supply instability, governments in the Sub-Saharan Africa are mapping out alternative power generation projects, which end is to supply more energy in the long haul. In DRC, for instance, the Grand Inga hydroelectric project, forecast to add 44,000 MW to the country’s power supply, is said to be underway, while in Zimbabwe, upgrades to the Kariba South hydropower and the Hwange thermal coal plants are well in the pipeline. South Africa is keenly looking at Kusile and Medupi coal-fired power stations, with each plant expected to have a generating gross capacity of nearly 4,800 MW.